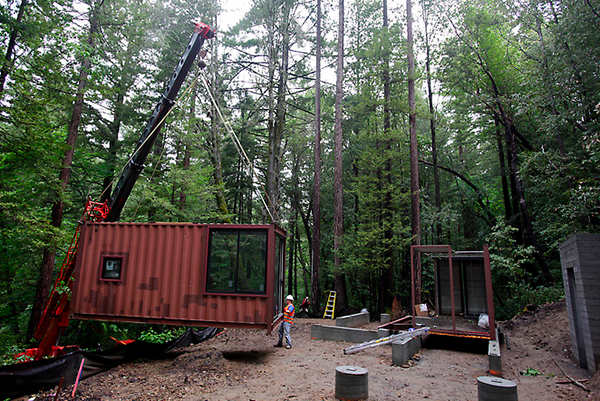 When Kam Kasravi and Connie Dewitt were faced with the decision on how to build a cabin on their woodland property in the Santa Cruz mountains they first considered buying a prefab house. 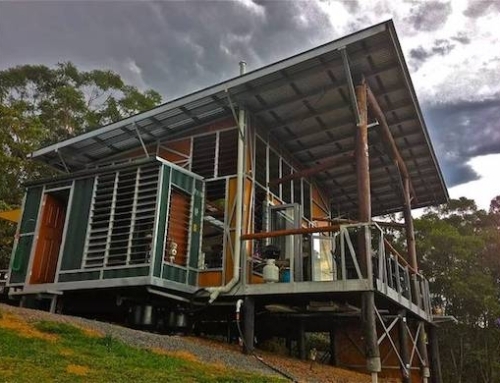 But after realizing that there simply wasn’t enough room to bring in a prefab house down the narrow forest path that leads to their property, they started considering building the cabin out of recycled shipping containers. 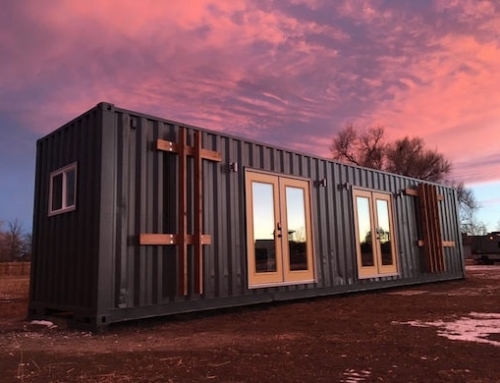 They enlisted the help of architect David Fenster of Modulus Architects, who designed for them the modern yet spacious shipping container cabin. The owners wanted a modern cabin, but one that would not interfere too much with the surrounding forest. 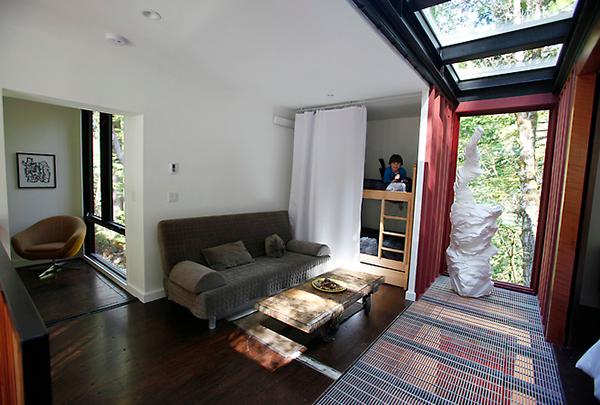 Today, their 2-story cabin has a footprint of 1,200 square feet, with 3 bedrooms, 1.5 bathrooms and an outdoor shower. In total, it cost roughly $600,000 to build, since in addition to purchasing all the materials, the couple also hired several geological consultants, soil analysts and structural engineers due to the fact that the house stands in the middle of a forest and in an earthquake prone area. 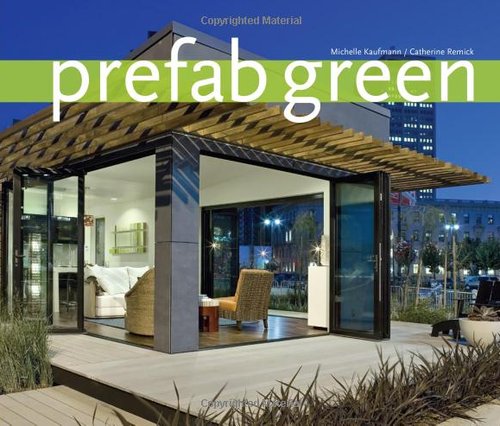 This is still a savings of about $50 per square foot over a more conventional prefab house alternative. The cabin is built on a raised concrete base and they had to cut down two redwood trees in order to build it. 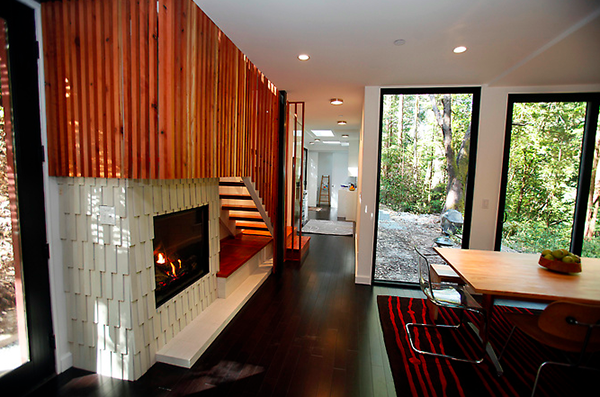 The owners repurposed the wood to build the cabin’s staircase. 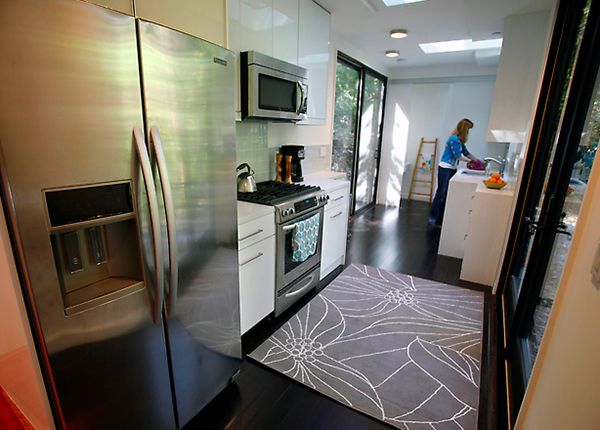 In designing the house, light and the feeling of being in an open space was paramount. The cabin has 9 skylights, 23 windows, and five glass doors, which greatly reduced the cramped feeling of living in a container. 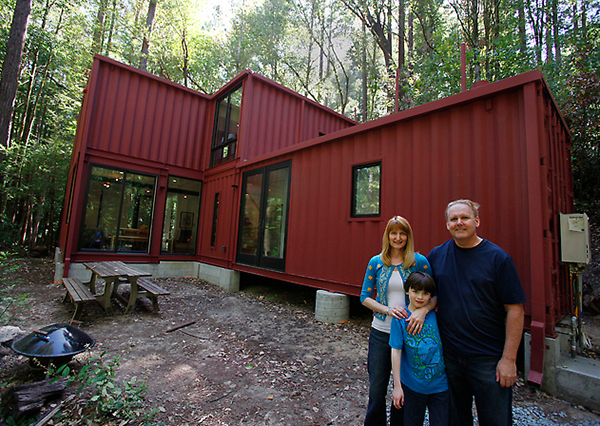 They bought the containers from the Port of Oakland, and opted for dry-freight containers called Hi Cubes. These containers have a height of 9 feet and 6 inches, which made it possible for the cabin to have high ceilings and therefore appear more spacious. 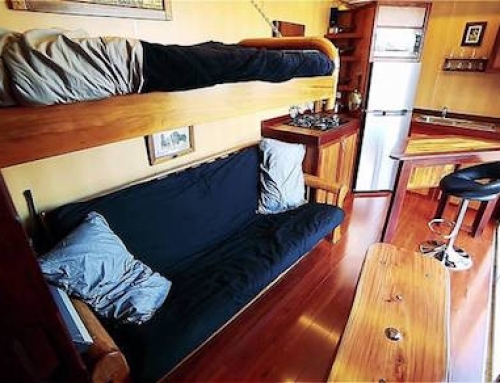 They also left most of the spaces inside the cabin open to further add to the feeling of spaciousness. The upstairs bedrooms are only separated by curtains and screen doors to save space, while still providing some privacy to the occupants. 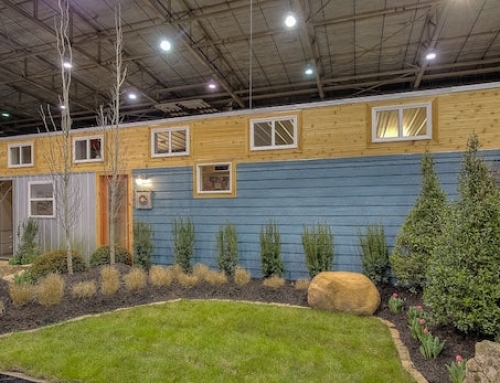 The cabin was assembled onsite in just 6 hours, though the interior took almost a year to finish. 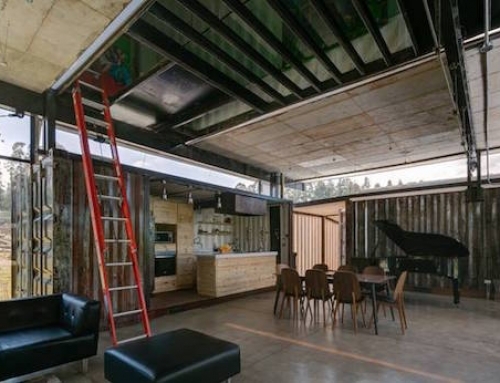 While they initially worried about the industrial look of a home made from shipping containers, they, in the end, decided to leave many of the original features of the containers in place. According to the owners, this creates a nice blend of modern and rural and they went so far as to leave the upstairs flooring in its original state. 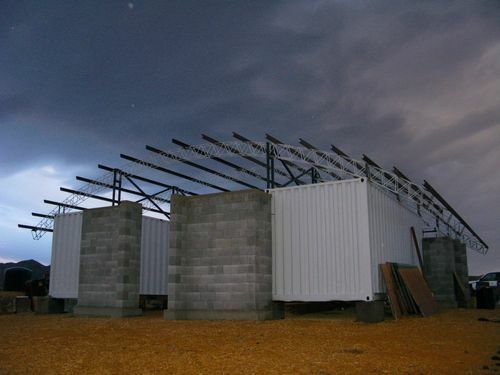 An added bonus of building a cabin from shipping containers in the region is the fact that they are earthquake proof. 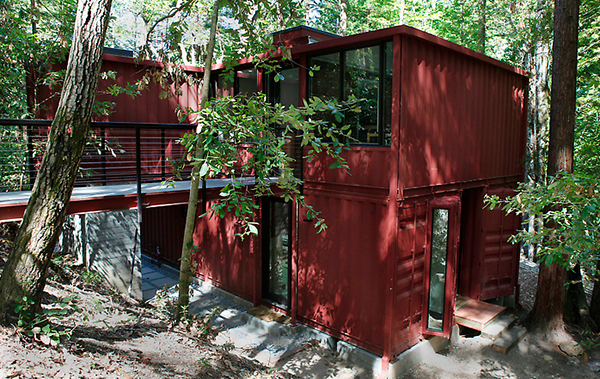 The area of the Santa Cruz mountains were the cabin stands is earthquake prone, but this presents little problem for the shipping containers which are built to withstand the harsh conditions of ocean travel. Since the cabin is made mostly of metal it should also prove fire proof in case of a forest fire in the region. Your math is WAY off. 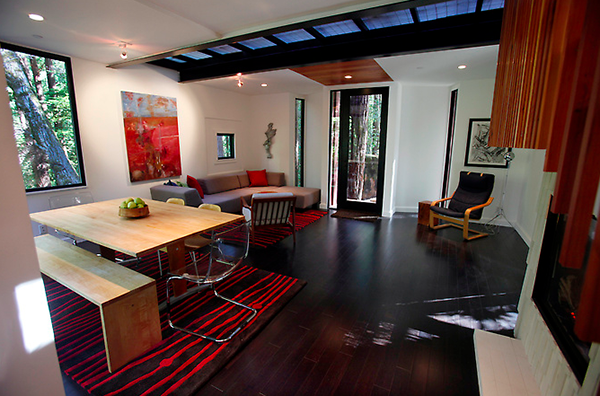 It was either $600,000 and $500/sqft or it was $60,000 and $50/sqft. Normally I would not care but it is a harmful bit of info if this is actually $600,000. Yeah, if this cost $600k to build then they were severely swindled. You could easily build a more traditional prefab for half of that. It’s hard to believe $600 per SF. 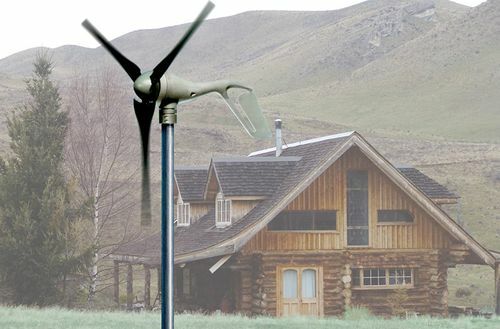 My company supplies high end timber frame homes that are very energy efficient and can be built for half that price! There are also a couple typos in the article….. I agree with Josh – $600,000?! That is ridiculous. I think this can be built for about $100,000.